HHS has proposed giving patients access to their electronic health information at no cost. 1. The rules, issued by CMS and ONC, support the MyHealthEData initiative and 21st Century Cures Act. 2. CMS proposed "requirements that Medicaid, the Children's Health Insurance Program, Medicare Advantage plans and Qualified Health Plans in the federally facilitated exchanges provide enrollees with immediate electronic access to medical claims and other health information electronically by 2020." 3. CMS proposed these healthcare providers and plans implement open data-sharing technologies to better support patient care transitions. 4. CMS' rule would also require providers or hospitals that participate in "information-blocking" — roughly defined as "practices that unreasonably limit the availability, disclosure, and use of electronic health information that undermine efforts to improve interoperability" — be publicly reported to incentivize providers to openly share data. 5. ONC's proposed rule recommends that the healthcare industry adopt standardized application programming interfaces to help patients more easily access their electronic health information. 6. ONC also proposed to implement information-blocking provisions included in the 21st Century Cures Act, which includes "identifying reasonable and necessary activities that do not constitute information-blocking," such as when the data is insecure, dangerously inaccurate or when releasing it could violate a patient's privacy or lead to harm. 7. "These proposed rules strive to bring the nation's healthcare system one step closer to a point where patients and clinicians have the access they need to all of a patient's health information, helping them in making better choices about care and treatment," HHS Secretary Alex Azar said in a news release. "By outlining specific requirements about electronic health information, we will be able to help patients, their caregivers and providers securely access and share health information. 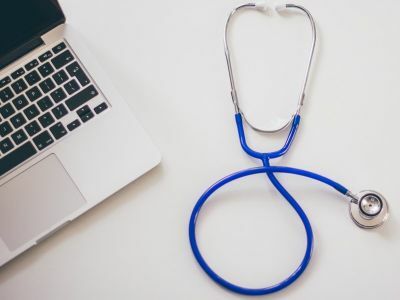 These steps forward for health IT are essential to building a healthcare system that pays for value rather than procedures, especially through empowering patients as consumers." For a fact sheet on the CMS proposed rule, click here. For fact sheets on the ONC proposed rule, click here.